Somewhere in the quiet town of Bergen in Norway, sometime in 2015, a band called Boy Pablo was birthed. By 2019, the Norwegian indie pop-rock band had already become popular in different parts of the world, breaking the borders of Norway to thrive in places like the United States and the United Kingdom. The success of the band came rather suddenly thanks to its video that went viral on the internet. 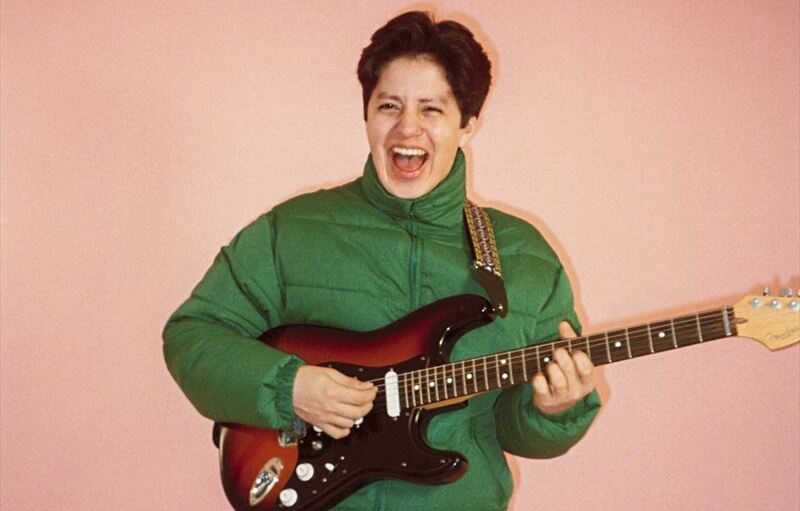 Boy Pablo which is fronted by Nicolás Pablo Rivera Muñoz has gained fame for songs like “Everytime” (2017) and “Losing You” (2018). Other members of the band are Gabriel Muñoz who is its lead guitarist, Eric Tryland (piano and backing vocals), Henrik Åmdal (bass guitar), and Sigmund Vestrheim (drums). Inasmuch as it is a band, Nicolas Pablo Muñoz who is the main man behind the band, as well as its vocalist and rhythm guitarist, is also referred to as Boy Pablo. Nicolás Pablo Rivera Muñoz was born in Norway to parents who were originally from Chile. The moved to Norway in the 80s and have remained there ever since. They raised their son Munoz there and he got his education from a private secondary school, Kongshaug Musikkgymnas. He was brought up in a very quiet city that doesn’t have too many people. Although he lived most of his life in Norway, he still speaks some Spanish with his family members. In addition to that, he also eats Spanish food at home and watches Spanish football as his family still holds its roots pretty close. Boy Pablo grew up as the youngest among his other siblings in a family that was in love with music. In fact, music was a part of his family so it was easy for him to start playing music when he was just 10. He would continue to play as he continued with his education. For someone who had always loved music as he was growing up, he decided to start his band, Boy Pablo in 2015. Only a year later, the band had already attracted the attention of the country and was regarded as the new wave that was sweeping through Bergen. By 2017, Pablo had already got the band very popular with the release of their song “Everytime”. Thus far, the band has released two EPs and a number of singles. The first EP it released is Roy Pablo in 2016 followed by Soy Pablo in 2018. More so, the band has had a few tours already as it continues to work towards releasing its first studio album. 1. Boy Pablo as a band was formed by Nicolás Pablo Rivera Muñoz together with some of his high school classmates. While he remains as the main man for the band, the others mostly offer backup and handle instruments. All members of the band are best friends who all met when they were in boarding school. At the time, all the boys were still teenagers. 2. Although the band is still rather young, it has already started decorating its shelves with some accolades. In 2018, it won the Spellemann Award for Newcomer of the Year as well as the Gramo Scholarship in 2019. 3. The first songs released by the band including its most popular song, Everytime, which helped the band to become famous are all written and produced by Boy Pablo who did everything in his bedroom. After producing Everytime, the band shared it on YouTube where it enjoyed good engagement. By 2019, the song had already been viewed close to 20 million times. There was a point at which the video was viewed as much as fifty thousand times in a single day. Its popularity was thanks to a post made on Reddit. 4. Describing other members of the band, Pablo said while he is somewhat laidback, the guitarist of the band Gabriel is someone who is great but obsessed with sneakers. The drummer, Sigmund is the funniest member of the band, Eric who is the keyboardist is the one who is very daring when challenged, and Henrik, the bassist, is extremely calm. 5. Nicolás Pablo Rivera Muñoz is not the only member of the band with Chilean roots. The guitarist of the band, Gabriel is also partly Chilean as his father is from the South American country.